These lessons are for an individual either on your own horse or at SMS Equestrian using one of our horses. 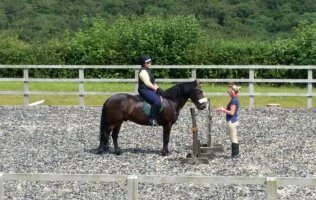 These lessons are for 2 riders either on your own horse or at SMS Equestrian using one of our horses. You can book as a pair or express your interest for a semi-private lesson with Sarah and we will do our best to arrange a partner for you; a great chance to meet like-minded individuals! 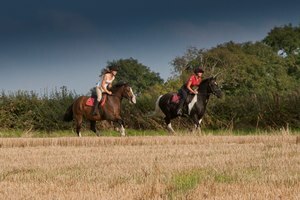 These lessons are for 3 riders or more (max 6) either on your own horse or at SMS Equestrian using one of our horses. You can book as a group or express your interest for a group lesson with Sarah and we will do our best to arrange a session for you; an opportunity to watch and learn from others and make new friends! This is a 15 minute ride on the lead-rein aimed at tiny tots or those trying out riding. The one the children have all been waiting for; a chance to have a go at owning their own pony. This is an opportunity for children of all ages and abilities to meet others with the same interest; they will enjoy riding as well as all other aspects of caring for a horse. This is as much an educational experience as it is a social one. *Travel: Travel will be charged at £5 per session if over 5 miles from Fovant. For a distance of over 10 miles please call to discuss. **Activity days: These will be scheduled on certain days and run based on numbers – please check Facebook or our news page for upcoming days and call to book or express your interest. Cancellations within 48 hours of your lesson time will be charged at full price. "Sarah is a brilliant instructor. My horse Billy and I have progressed so quickly in just a few lessons - I can't recommend her enough!"